Image from Wikimedia Commons . By the time you read this, I will hopefully be on a plane to Reykjavik, then Frankfurt, and then finally a train to Freiburg im Breisgau. 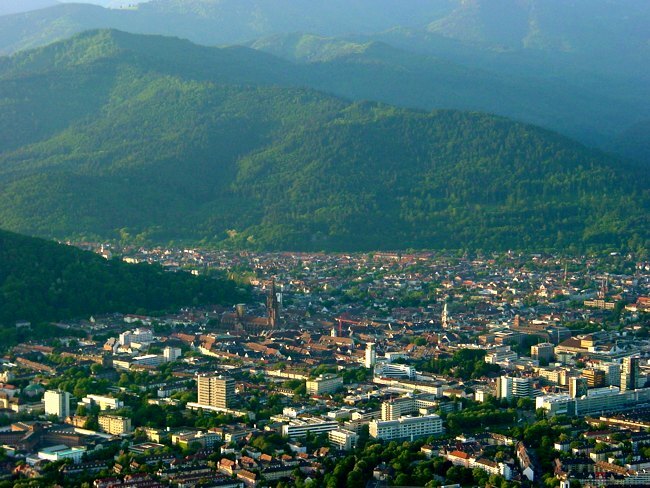 From here on out this site will be the best way to keep in touch with what I am doing while in Freiburg (especially if you came here through Facebook). As a result expect a lot of original pictures and content pertaining to German, Germany, and language learning. Posts will of course still be around central subjects / topics and will not be journal entries. My program director said to plan on not having Internet for the first month after arrival. In order to plan ahead I had pre-written posts which will be automatically posted, just like this one! Unfortunately I do not save my drafts on Blogger and my computer crashed, and had to be formatted; so those posts are gone. I guess that's what I get for planning ahead. Nevertheless I will have plenty of time while sitting around in airports to type up the articles again. Just give it some time.